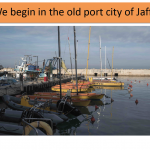 HATD’s field representatives in Israel and Palestine completed a 10-day speaking tour in the United States in November, wowing their audiences with first-hand accounts of grassroots achievements made possible by HATD. 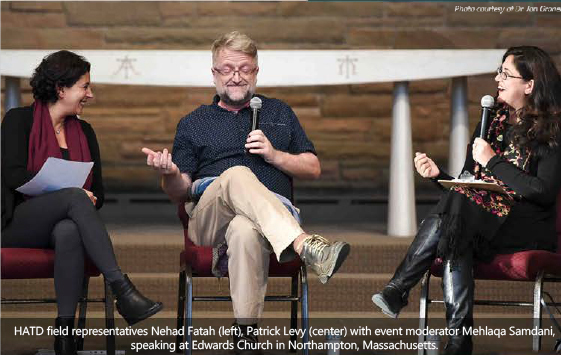 Both long-time donors and new friends came together in homes and larger venues in New York, Maryland, Massachusetts and Washington DC in November to meet with and hear Ms. Nehad Fattah and Mr. Patrick Levy, who oversee HATD initiatives in the West Bank and Israel, respectively. 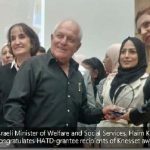 The two spoke about their personal experiences working to implement HATD’s various peacebuilding through health initiatives, including both the challenges and rewards of guiding Israeli and Palestinian health grantees on a day-to-day basis. They also discussed the important potential that expansion of such efforts holds for the long-term well being of Israeli and Palestinians. Many expressed gratitude for the opportunity to reel hopeful about what often seems like a bleak forecast for Israelis and Palestinians alike.